Bracted Honeysuckle is a shade loving shrub that is distinguishable from other honeysuckles by its square stem and pointed leaves. 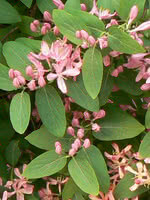 Native to most of North America, this honeysuckle is found along swamps, rivers, riparian zones and moist wooded areas. 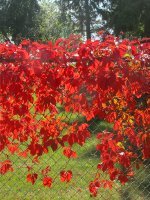 If you have a erosion control project in mind, consider Bracted Honeysuckle.